The decorative border on one wall of the church is completely done! 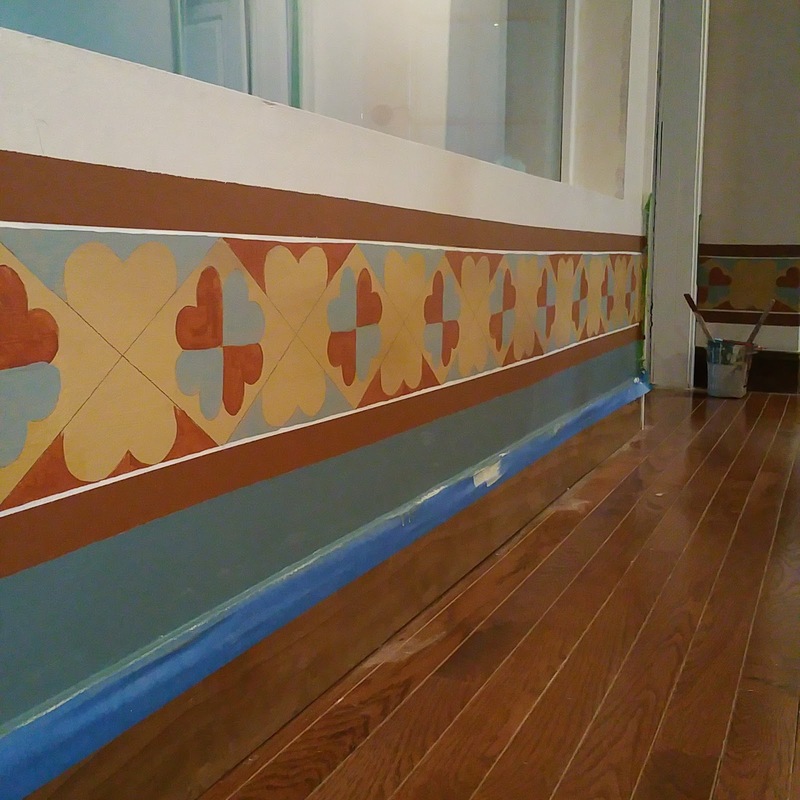 The rest of the border has the top and bottom line completed and some stretches even have the diamond shaped lines finished. 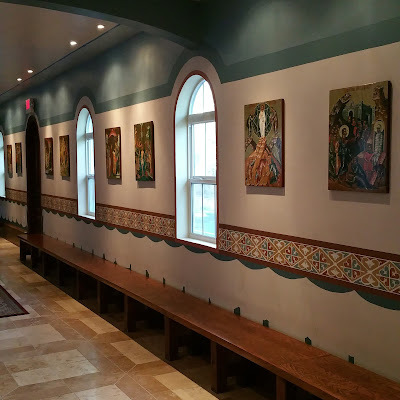 Father John was able to wrap up a lot of the preparations for the border and napkin work in the altar and we both completed as much of the choir loft work as we could do. 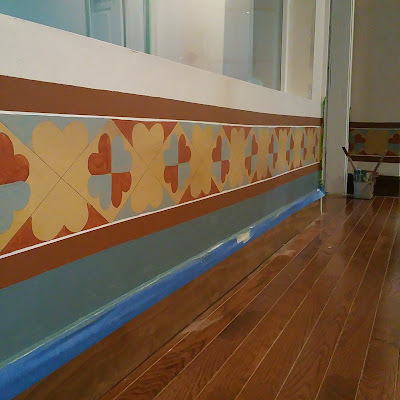 I spent a little time there this afternoon painting the blue underneath the border (we had to lower it there due to the height of the walls in the choir loft). Hooray for the weekend! 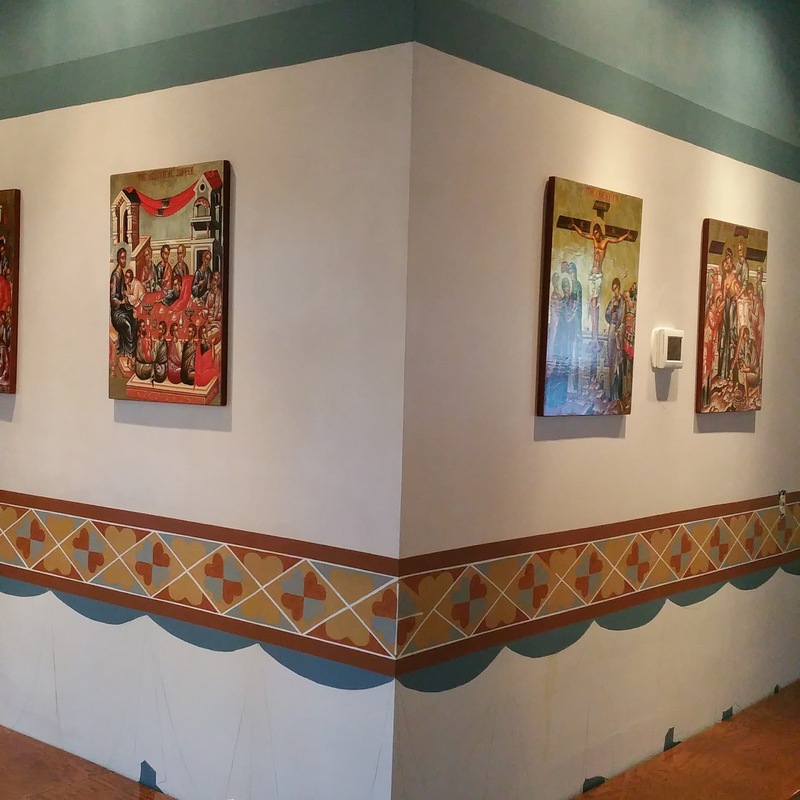 Tomorrow is deep-clean-the-church-before-Pascha day (with lots of help from parishioners, I hope!) and I have a pretty long list of things to catch up on in the house before the painting resumes on Monday! Thanks for your kind comments! Christine, we're going to seal everything once we're finished. We debated starting the process now but it'll probably be easier to do it all at once!